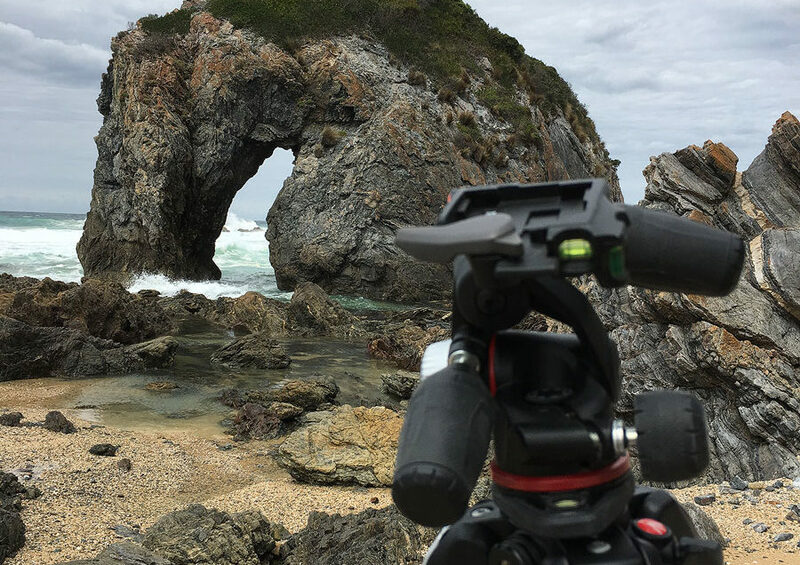 A tripod review – a different type of blog from me… The most important pieces of kit that landscape photographers / nature photographers own (after camera body and one lens) are your camera tripods. You must have one – at least one – and use it (or them)! A tripod is the single biggest help you will have for composition. So, a strange start to this blog. However, my old three legged friend recently needed replacing, and I was flying overseas. 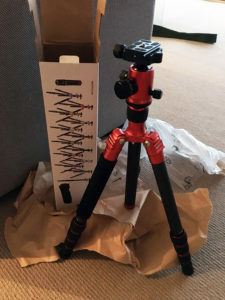 So I purchased a nice new shiny travel tripod online. A MeFOTO Globetrotter in bright red!. [A long story short – it did not arrive in time for my trip, and I will not name and shame the major Sydney retailer who could not deliver on promises. However, the moral of the story, if you need gear by a certain date, buy in-store!] Most travel tripods come with a ball head and this was no exception. As soon as I got my hands on it in ‘real life’ out in the bush, I noticed a couple of things. It was just a little shorter than I was used to, and the ball head mechanism was a little tricky. No biggie, I thought. However, what I found as the weeks progressed was that it was just a little too short – creaky knees abound. I do landscape photography and I do lots(!) of looking through viewfinders. When I stoop, that’s not good over many hours in some cases. In addition, the I found the ball head had some idiosyncrasies. I take landscape photographs on a tripod by firstly using the level in the LCD to line up the camera horizontally. I set up the level to ‘true’ with the ball head adjusters not fully tight. When I tightened the adjusters enough to ensure the camera was firm, the final ‘tweak’ would take the camera off level. The only way I could find to get an absolute level image was to line up the head, tightened the dials a first time until tight then ‘grapple’ or forcibly move the camera with everything tight until it was finally level. I do not recommend this! 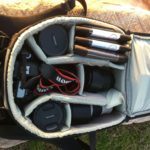 In addition, to do panoramic photography via multi-image stitching, you need to ensure the camera is level and then pan around in a horizontal plane. I found a ball-head much more difficult as you go off-level easily, as all adjustments get lost with each movement, rather than just one of three being the horizontal swivel. Enough was enough. I felt I had still not actually replaced my old three-way-head tripod. Something I could use for most of my work. So I needed to purchase (reluctantly) another. I’m far from a gear freak. 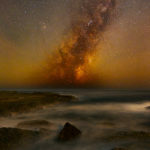 I 100% love my Australian landscape photography passion as a whole, but not specifically my camera and lenses. 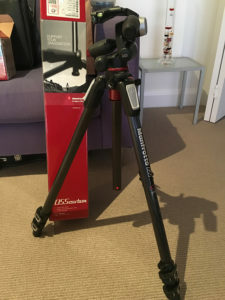 Much soul-searching and price evaluating, I got a three-section leg Manfrotto 055CXPRO3, which is a little bit bigger than the Manfrotto 190. Back to a three way head, and taller. It was the same weight overall as the old one I had originally replaced with the MeFOTO, as well. It’s rock solid. 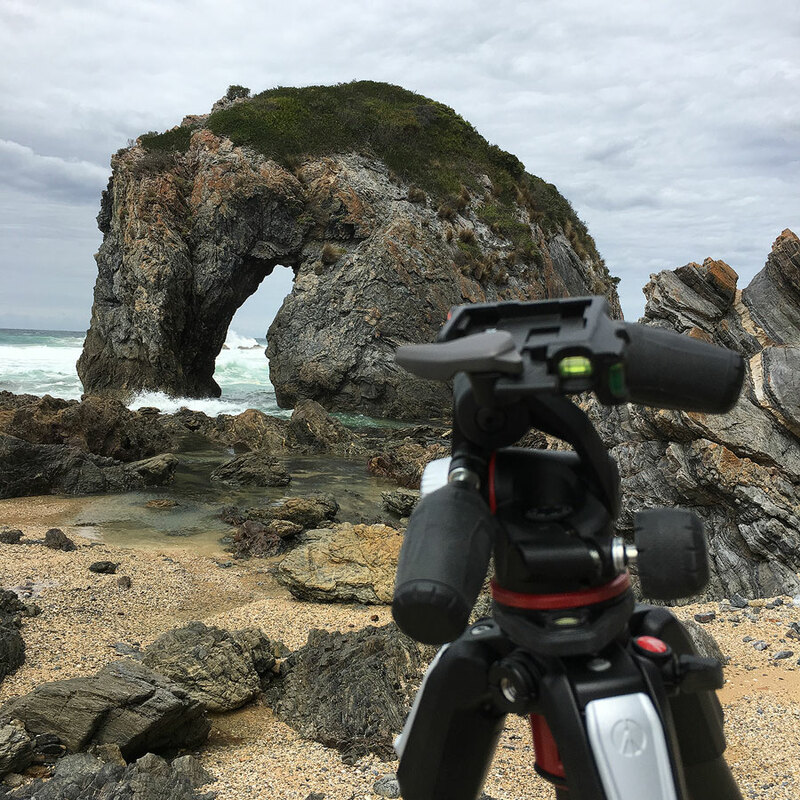 So, I thought I would summarise a few points for those in the market for a new tripod for their landscape photography. You are not going to backpack with one of these, now are you? 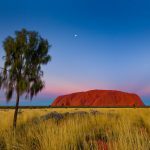 Let’s re-visit my opening remarks – A tripod is the single biggest help you will have for composition. I bang on about that and a whole of of other things here. To further read how it will help you use the corners of your image – and why that is a good thing, click here. So in conclusion. I am about to pack a suitcase (it’s on my bed as I type) and lets face it my Manfrotto just wouldn’t fit. The best camera is the one you have with you at the time, and as a serious landscape photographer the same holds true for your tripod. So – it’s all horses for courses, wherever possible it’s the Manfrotto and where that just doesn’t work I am more than happy with the MeFOTO.